Your contacts list is possibly one of the most important aspects. Isn’t’ it? What you’ve done when it is lost or deleted? You might be in a rush of finding it ASAP because every contact is a gem for you in the list. Here is Fyndster to get rid of these problems. 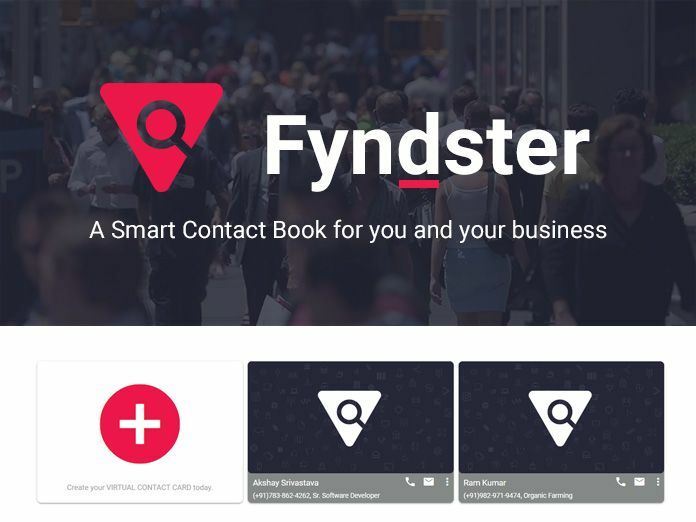 Fyndster is a cloud-based smart contact book, that manages your contact list in order to save your time from finding those deleted or missing contact. Considering the problems like outdated contacts lost contacts & not being able to search local business, it is designed. Also, for Businesses who don’t want to lose contact with their customers. It is 100% free for any number of cards. Below are the points to navigate you towards the working of Fyndster. To create your own Virtual Contact Card, you need to choose a unique ID for it. Select privacy level, whether to make it ‘PUBLIC’ or ‘PRIVATE’. Once you have done with the privacy level then go for information like phone, work, address, email etc. Hurray! you are now all set to explore the application. 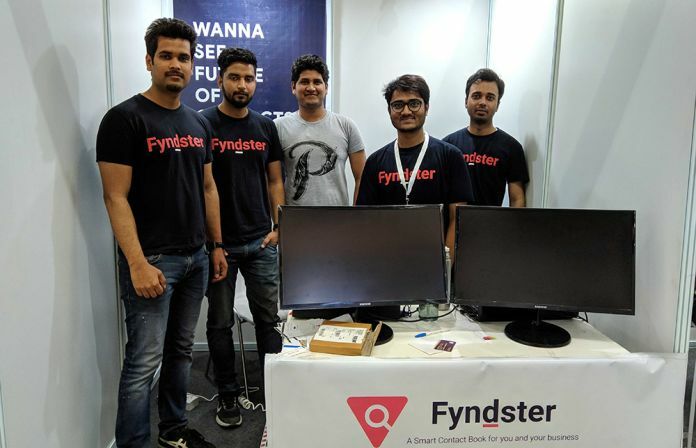 Note* Checkout Fyndster App on Play Store or website to know more. The dedicated team who work day-in and day-out together is a crew of six enthusiastic young engineers based in Noida, India. Who exactly understand the problems with the contact details and build a solution in order to find the Correct Contact Details with minimum Effort & Time. Amarjeet Malik (Full Stack Developer), Kaushal Singh (Full Stack Developer), Mihir Mittal (Quality Analyst), Vishal Yadav (Product Designer), Sagar Mehar, and Saurabh Narain. Search and Get Contacts: It will assist you to search friends, family, old-school mate, carpenter, guitar-tutor, you name it they will all there, and what’s best, you add their virtual contact card to your contact list and never lose contact again. Share Contacts like a pro: There will be a unique Fyndster ID, so whenever you want to share contact all you need to do is ask his/her fyndsterID and send him a card request. No Outdated Contacts: Days of outdated contacts are over, so next time when you change your contact information, update it on your virtual contact card too and your friends will receive the update instantly. Currently, the newly developed application close to 150 individual users & 100 businesses on their platform and the number is counting. Build a network with Fyndster checks out their social media pages.